steel, a diamond, and to know one’s self. This is my husband. 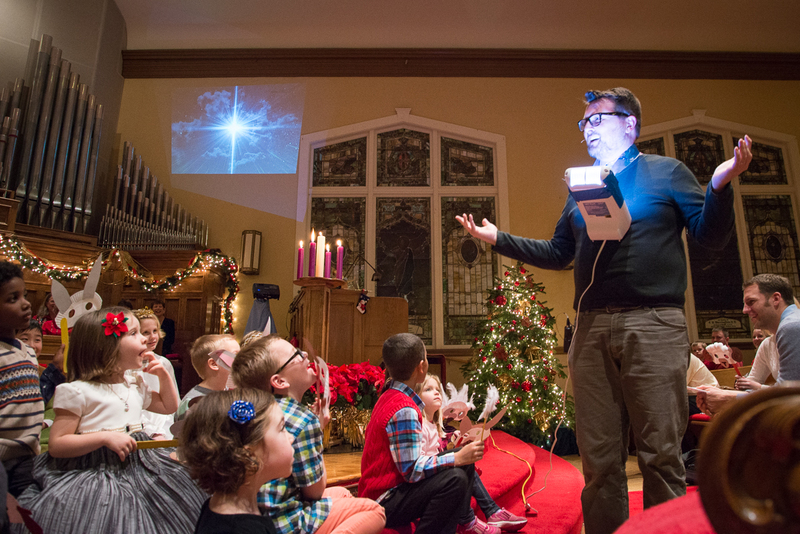 Preparing for his Children’s Sermon at the Kid’s Christmas Eve service. 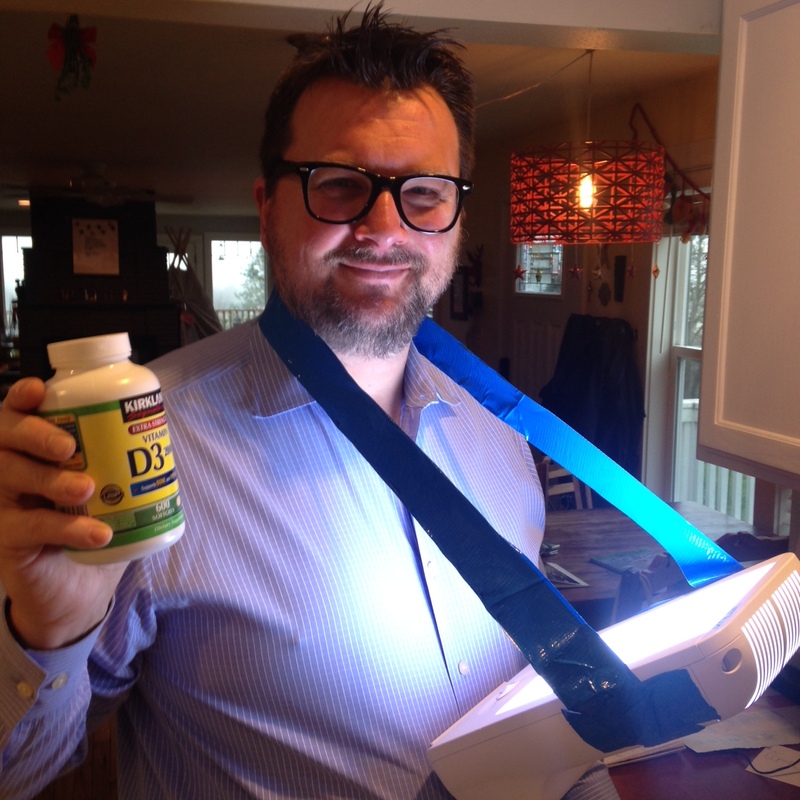 Duct tape is useful for all tasks, including attaching a “happy light” as a necklace. Does he look like a Man of Steel?!? He DOES have a Superman t-shirt in his closet…. Not sure STEEL is the perfect description, but strong, yes. Matt’s known for being the sappy one between the two of us. 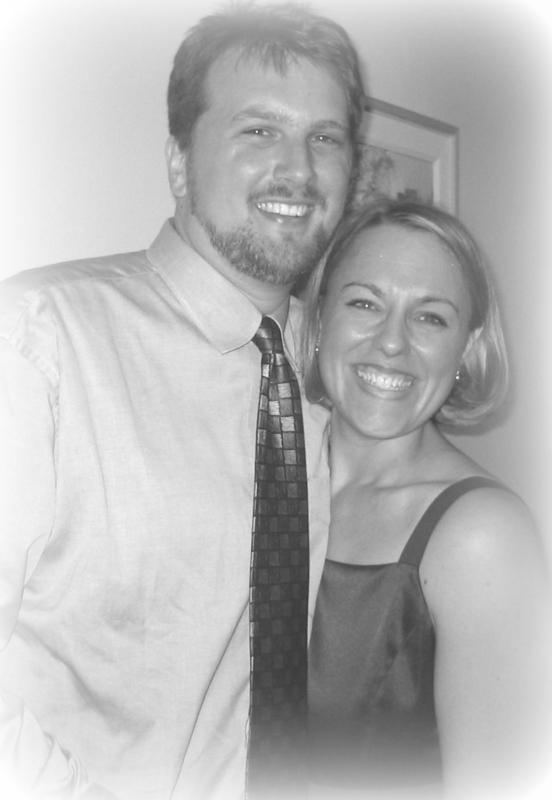 As I have mentioned here previously, he was the one that cried at our wedding and in the midst of giving many-a-sermon. Those tears are endearing to me. Why am I waxing poetic over Matt? I try not to talk about him too much here. He’s not too into public stories and focus being put on him. And in official Miss Manner’s terms…it’s all about steel this year. So I did some research on steel. Steel is strong and doesn’t cost a lot. It can harden and prevent dislocations. How do you connect that to marriage?!? Yes…but not costing a lot? Not feeling that one. Marriage does cost a lot. It isn’t easy and man alive, we have a ways to go. So much to learn and practice. Lucky Us! We can and do “harden”, hoping it prevents emotional dislocations. Isn’t that the way of relationship? The more I see this approach play out, though, I’m convinced it isn’t so productive. Maybe, as Anne Hillman wonders, it is more about “permeable aliveness” vs. old choices and clear-cut answers. Possibly old ways need to die so that something new can be born? Perhaps (ya think?!?) vulnerability is at the root of this “new way”? 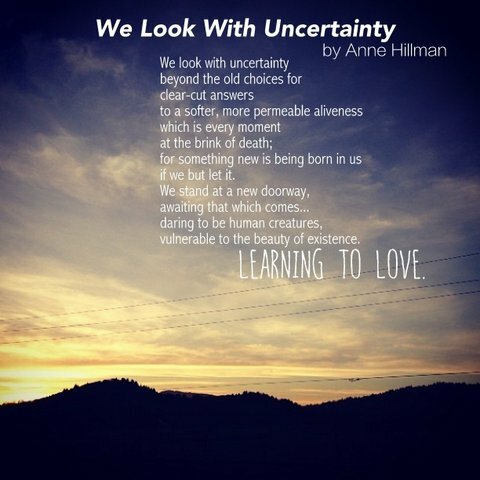 Learning to Love and Look with Uncertainty?! 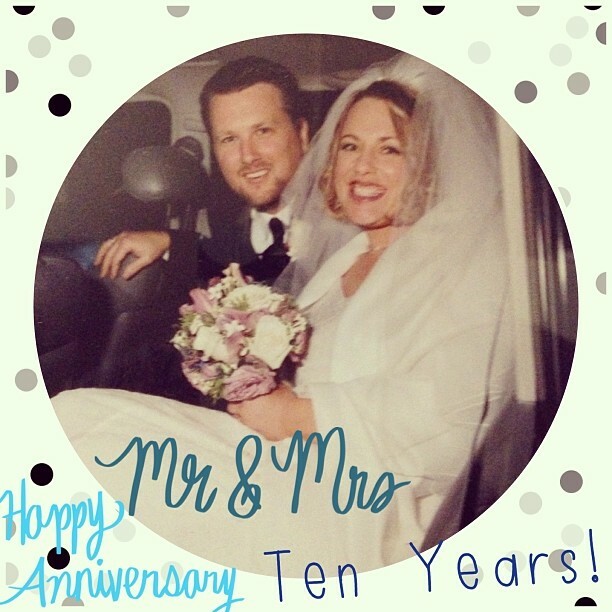 This year, we will celebrate 11 years. I am in major purging mode, so every gift idea keeps getting shot down in my own head. We loved sipping Moscow Mules this summer, so I pondered splurging on the special STEEL hammered mugs we saw recently downtown. I thought it could be fun, dramatic. Maybe slip in a tasty Vodka, a lime and Trader Joes’ amazing new ginger beer?! Those glasses are one more thing to store and we really had no trouble enjoying MANY a Moscow Mule last summer in our normal everyday glasses. Specialty glasses for every drink? Not thinking that’s necessary. So, I’m “settling” for dinner out after a (no doubt) busy day with the boys. Maybe we can hold an entire conversation. Think a bit about the year ahead and what it means to know oneself (thanks, President Franklin) and reflect a bit on true strength with my Man of Steel. 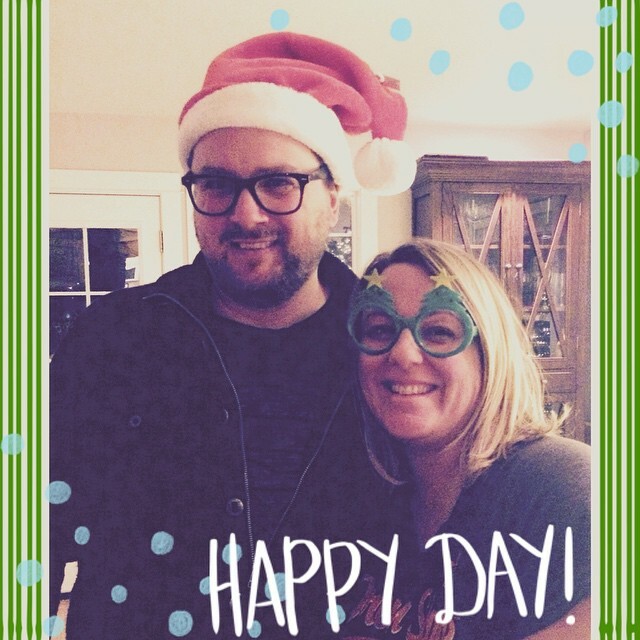 Happy anniversary, friend! Miss you SO much!